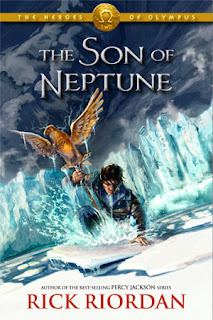 I am looking forward to the next installment in the Heroes of Olympus series by Rick Riordan: The Mark of Athena. It's release date is October 2, 2012. Great pick! I have yet to read a Rick Riordan novel. I started The Lightning Thief, but I never finished it. I've heard amazing things about all of his series though. The Percy Jackson series has some awesome covers. One of these days I will start reading this series. Nice WOW pick. New follower. Come visit me as well.